A group of nuns and the government could not be farther apart on the impact of the contraceptive mandate on the religious liberty of nonprofit religious groups. 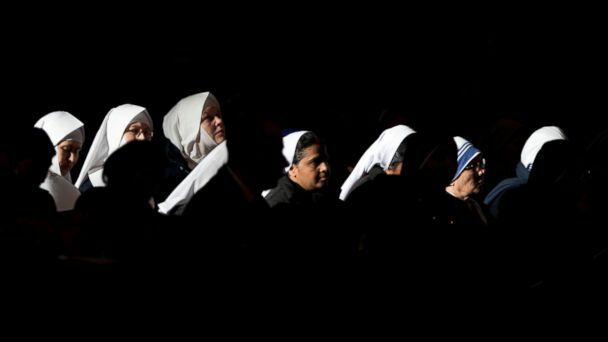 The Supreme Court is considering whether to extend a temporary injunction allowing Catholic groups- led by Little Sisters of the Poor- to opt out of the mandate while they appeal the issue. Last week the tone of the government's brief to the Supreme Court was almost incredulous. It said that the court need not have issued an injunction in the first place because the nuns-who work in a non-profit nursing home-are already exempt from the mandate. First, the nuns are eligible for the administration's " accommodation" that allows them to sign a form that will relieve them of obligations to provide contraceptive coverage. The government says the nuns need only provide a copy of the form to a third party insurer. Second, the Little Sisters take part in a church plan [Christian Brothers Services] and federal law exempts such church plans from having to provide the contraceptive services. "It's an exemption on top of an exemption," says Ian Millhiser, a senior Constitutional Policy Analyst at the progressive Center for American Progress Action Fund, which supports the government's position. "Being required to inform the government that you are invoking your legal rights isn't a substantial burden. It's barely a burden at all," he says. But Mark L. Rienzi, a lawyer for the Little Sisters, says the government is "simply blind to the religious exercise at issue: the Little Sisters and other applicants cannot execute the form because they cannot deputize a third party to sin on their behalf." He says that the government's "causal dismissal" of that "religiously forbidden act as a mere 'stroke of their own pen' perpetuates their claim below that the Little Sisters are fighting an 'invisible dragon." Rienzi writes in court briefs, "Minimizing someone's religious beliefs does not make them disappear." Another lawyer for the nuns, Kevin C. Walsh of the School of Law University of Richmond writes, "The government's incomplete characterization of the form is that it is a simple opt-out form that does nothing but signal that the organization is claiming an exemption." Walsh says, "Under law, the form does much more than that and something different than triggering an exemption. At minimum, the form is also an authorization for the Little Sisters' third-party administrator (or TPA) to provide the coverage that the Little Sisters religiously object to providing themselves and for the TPA to be paid by the government for providing this coverage." But Professor Michael C. Dorf of Cornell Law School says the nun's position is wrong. He agrees with the government that not only are the Little Sisters not required to pay for the contraceptive coverage for their employees, but that the employees do not get free contraceptive coverage from a third-party insurer. He says the Nun's emphasis on the form itself is misplaced. "I would say that even if the consequence of signing the paper were that the employees get contraceptive coverage, that still would not count as a substantial burden under the Religious Freedom Restoration Act," the law at issue. He suggests an analogy, "Suppose that a Quaker who is categorically opposed to war gets a draft notice. If the Little Sisters plaintiffs are right, then he is not only entitled to his exemption from the draft; he's entitled to get his exemption without even signing the piece of paper saying he is entitled to his exemption. Why? Because if he signs that piece of paper, then the government will draft the next person on the list and so he will be "participating" in the war effort to which he is religiously opposed." The Supreme Court could rule at any time on whether to allow the nuns to opt out of the mandate pending appeal. Some lower courts have issued similar injunctions.